Jamshedpur is a huge industrialized city. At the same time it has many tourist points for the visitors. It offers a wide variety of recreation facilities for the people. Surrounded by beautiful mountains, free flowing river and large lakes it has all to keep you engaged. Apart from its natural beauty there are numerous beautiful temples, parks, museums to meet the eyes and expectations of the curious travelers visiting the city. The TELCO city in itself is a glorious place for the tourist to visit. It is not possible to tour the big city as of Jamshedpur in a single day. So you have to be very particular in choosing your itinerary. How to get around in Jamshedpur? There are a number of buses and the auto-rickshaws in Jamshedpur for the local transport that is available for the public. But most of the people prefer to travel by an auto-rickshaw. There is also a bus fleet available for the public which was introduced in the year 2009 by Tata enterprise. It provides services in almost all the areas of the city. The buses are equipped with computerized vending machines, electric sign boards and GPS. State government has also started 50 LFB buses to ease the transportation for the public of Jamshedpur. You can also hire a cab for a complete day and can take a trip to the beautiful city. It is not possible to cover all the tourist spots of Jamshedpur in a one day trip. In a day trip one can only complete the limited portions of Jamshedpur . However, if you choose to explore the flora and fauna of the city, there are many parks and Dalma wildlife, which will take a complete day of your trip. Spiritual and religious people, can choose to visit the famous temples of the city. One can also choose to visit the museums in the city or can spend time in entertaining oneself in shopping in the malls and other entertainment places like cinema halls, clubs and discos etc. of the city. One can start a healthy morning by going for a jogging in the very famous Joggers' Park located on the Kadma-Sonari link road. Then you can proceed by having a delicious breakfast in any of the famous restaurants in Jamshedpur. Jamshedpur provides a wide variety of food options you can choose from. It is always better to start your day bowing to God. You can visit any of the religious place in Jamshedpur. There are many famous temples, mosque, churches in Jamshedpur. Then you can choose from any of your favorite destination in Jamshedpur. Jamshedpur has many tourist attractions. If you visit Jamshedpur, your trip is incomplete without having a look of the glorious history of TATA Steel Plant. You can choose to visit Russi Modi Centre of Excellence a wonderful place with abundance of historic pieces of the birth to growing up of TATA’s and the city of TATA’s Jamshedpur. Another educative place is the coin museum, having a vast collection of the coins from around the world and from all the ages. Nature lovers have a wide options of places to choose from like Bhatia Park where locals love to spend their vacations and weekends away from the maddening crowds of the city. Bhatia Park is a marvelous park located on the banks of Subernareka River. Dimna Lake, an artificial lake constructed by Tata steel is situated at the foot hills of Dalma ranges and serves as the water reservoir for the steel plant and also a main source for the drinking water in the city. The lake is an ideal spot for boating and other water sports activities. Another famous picnic spot is an artificial lake located at the picturesque hilly landscapes of TELCO colony the Hudco Lake. Inaugurated in 1956, with lush green vegetation, attractive illuminated fountains and multi colored flowering plants is the amazing Jubilee Park. Imposing picnic spot, located at the North West region of Jamshedpur is confluence of two acclaimed rivers Subarnarekha and Kharkai which is known as Rivers Meet or Domohani. 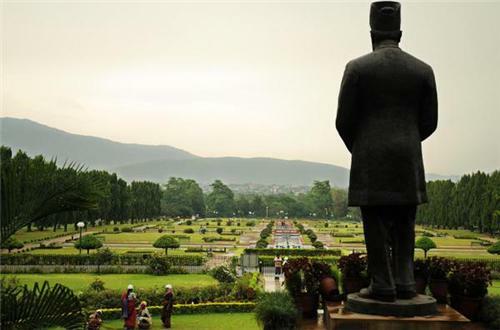 Sir Dorabji Tata Park, named after the eldest son of Jamshedji Nusserwanji Tata Shri Dorabji, is located in the close proximity of Keenan Stadium in Jamshedpur city. During afternoon one can plan a trip to famous Dalma Wildlife Sanctuary which is located at a distance of 10 km from the main city and is spread across 195 km². 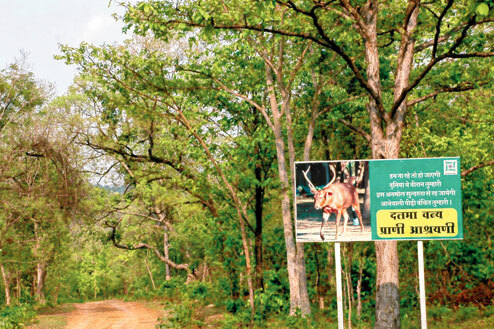 This park is the home elephants, tigers, barking deer, porcupines and sloth bears. Post lunch you can choose to trek in the wildlife forests as vast forest land is an ideal spot for trekking expeditions. The national park can easily be reached hiring a taxi, cab, auto rickshaws from Jamshedpur. Or you can choose to visit Tata Steel Zoological Park. 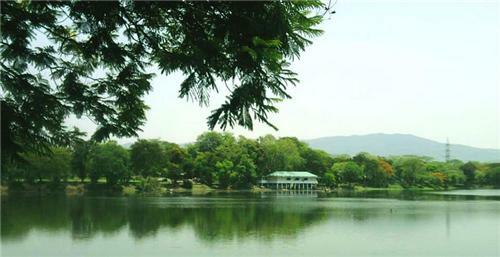 It is located in the Jubilee Park in Jamshedpur. Once done with the trekking at Dalma Wildlife Sanctuary return to the city. Enjoy the evening by shopping in the markets or the malls in the Jamshedpur. Once done with the shopping enjoy the remaining hours by watching favorite movie in any of the cinema halls or multiplex in the city. You can also enjoy the night life in Jamshedpur by visiting the disco or any other night club in the city. You can end your day enjoying a delicious meal in any of the famous restaurant or hotels in Jamshedpur. The city isdotted with a number of high profile restaurants and a number of road side street vendors. One can choose from a wide range of food joints suiting to your pocket. The city also provide a wide range of variety of food from south Indian to north Indian to continental to Chinese and many more. Once done get back to your hotel to relax after a day long trip to the beautiful city of Jamsgedpur.